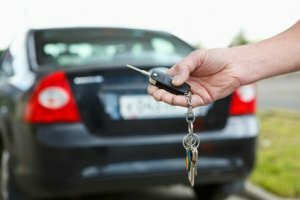 Your Expert Automotive Locksmith In Pflugerville TX - Call 24/7! Your Expert Automotive Locksmith In Pflugerville TX - Call 24/7! Your alarm doesn’t go off, your kids will be late for school, you are running late for an important meeting and you can’t find your car keys anywhere. It turns out, they are locked inside your car! The fact is, even the most organized people can have a bad day every once in awhile and that’s where we come in. We are Pflugerville Locksmith Pros and we provide the fastest automotive locksmith services in the area. We are your local lock and key experts and we are available 24-hours a day, and that includes weekends and holidays. We take great pride in providing drivers in Pflugerville with fast and reliable emergency locksmith solutions. That means that when you call us for assistance, we will arrive at your location in half an hour or less and provide you with expert service from one of our friendly, licensed technicians. In addition, our mobile units are outfitted with the latest in tools in the locksmith industry so that we can service all makes and models of vehicles. For example, if you are locked out outside of Mavericks Dance Hall in the middle of the night, you can call us and we will get you back in your vehicle in no time. We are committed to providing fair and upfront prices for every job we do. Unlike some other companies out there, we won’t surprise you with any hidden fees or extra costs for late night calls. And, we provide the most comprehensive auto locksmith services in Pflugerville. People say that you find missing items when you least expect it. If you ever lost your car keys before, you know that sometimes those keys never come back. Our mobile team can come right to you and make a brand new key that will work with your car. Whether your keys were lost, stolen or broken, we can help! Many vehicle manufacturers now make transponder keys, which has a chip built inside. This chip delivers a signal to the engine, which sends one back to the key. Unless both signals are in place, the car won’t start. If you have a transponder key that no longer works, or you just want a replacement key for future use, we can make a new transponder key on the spot. As car key replacement experts, we can also make copies of any laser cut key for you. Many locksmiths do not have the tools needed to make these keys at your home or place of business, but we can quickly make a new laser cut key for you and you can skip that expensive and time-consuming trip to the dealership. Replacing laser cut car keys easy! Our car lockout services are available any time of the day or night. Whether you left your keys on the seat, in the ignition or even in the trunk, we can help. Our mobile units come equipped with all the tools needed for cutting new keys, unlocking doors and performing any other services you might need. Car fobs let you lock and unlock your doors, pop the trunk and even turn on your alarm system from inside a building or across a parking lot. As one of the only emergency locksmith companies that can replace and repair car fobs in the Pflugerville TX area, we make it easy to get a new fob without a trip to the dealership. We can handle ignition switch repairs for all types of vehicles. You may be great at keeping track of your keys, but one day you accidently put your house key in your car ignition and it gets stuck. You then try to force it out and half of the key breaks off in your hand. Not only can we remove that broken key from the ignition, but we can repair or replace the ignition as needed. For a 24-hour locksmith that cares about your safety, contact us. We can be there in 30 minutes or less and take care of your lock troubles quickly and efficiently. 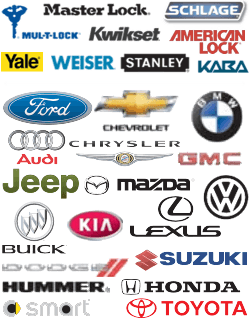 Automotive https://pflugerville-locksmith.co/automotive/ 3.9/5 based upon 39 reviews.